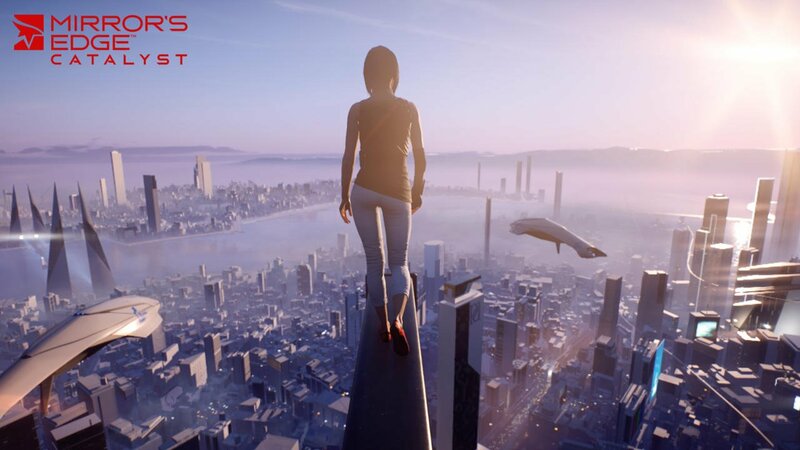 Mirror's Edge Catalyst's unique take on first person parkour is something that no other game or series manages to deliver. Due to this, even when it stumbles, it's easy to look past its faults, simply because it's so damn unique and novel. 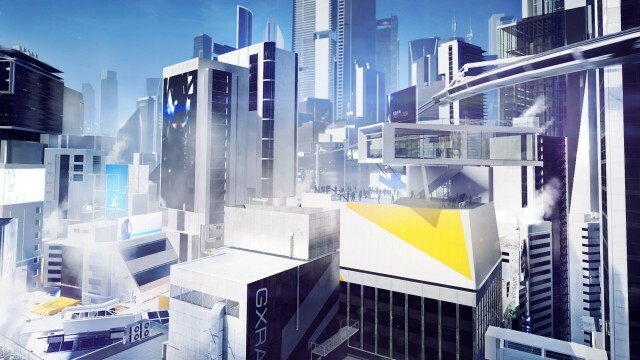 The original Mirror’s Edge was an interesting product of its time. 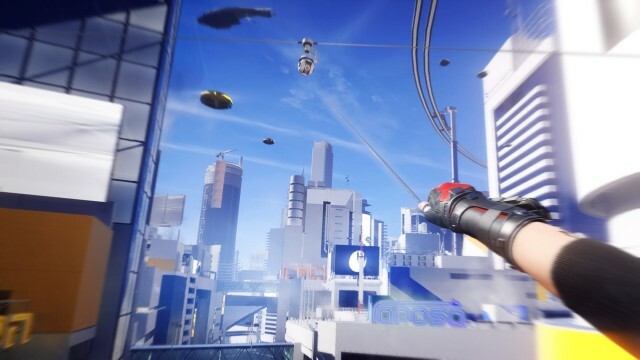 Released when games like Call of Duty and Grand Theft Auto IV were reigning supreme, DICE’s experimental first-person platformer was a breath of fresh air, though it wasn’t without its faults. 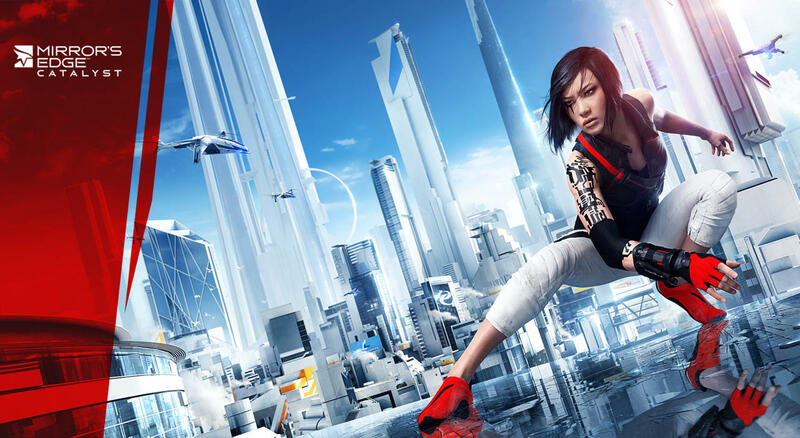 To this date, Mirror’s Edge is one of the most divisive games I can remember; it truly was a love it or hate it kind of experience. 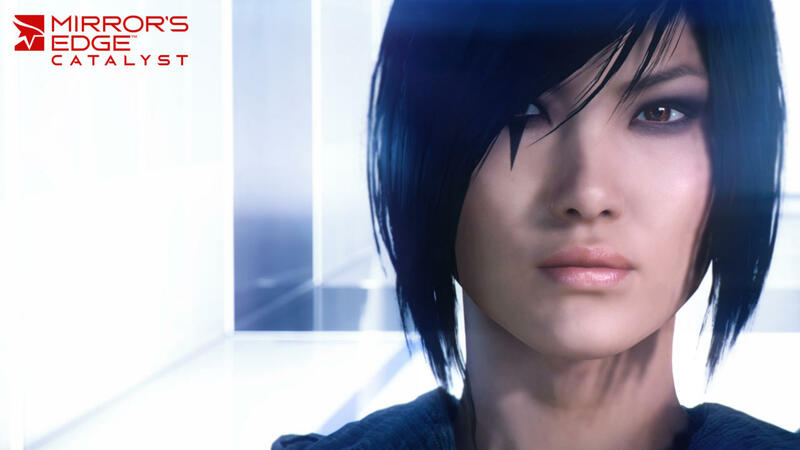 Much like its predecessor, Mirror’s Edge Catalyst is a bit of an oddity. 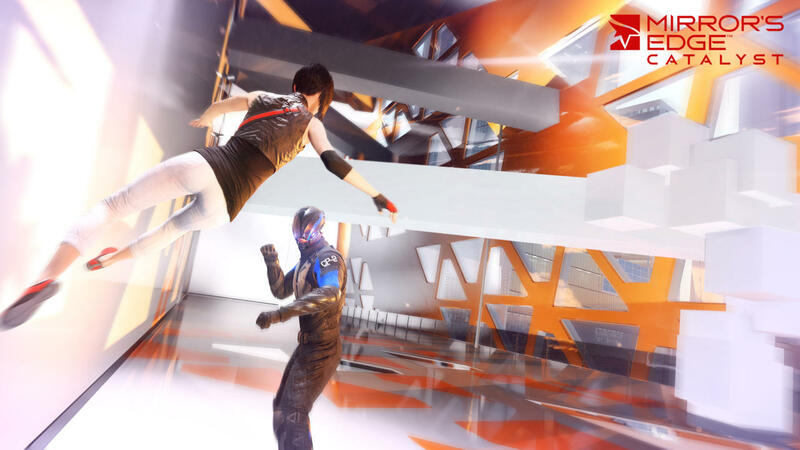 While ardent fans have been clamoring for a new entry in the series, Mirror’s Edge never gained the level of attention that might warrant a follow up. 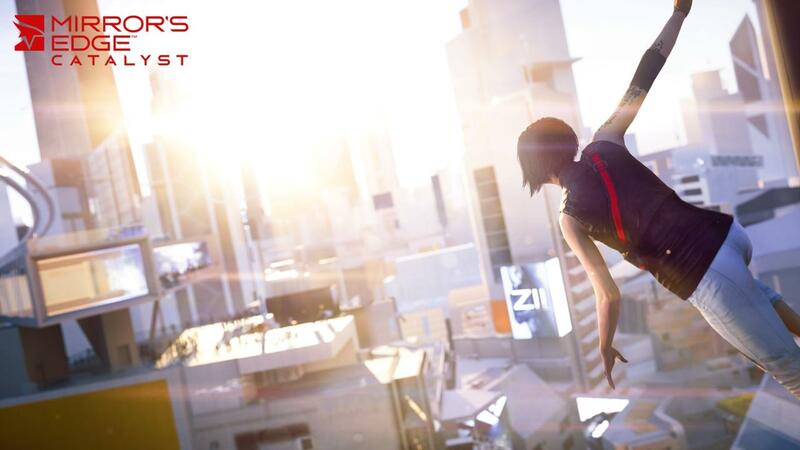 It may have taken a reboot, and close to a decade of waiting, but we finally have more Mirror’s Edge to sink our teeth into. 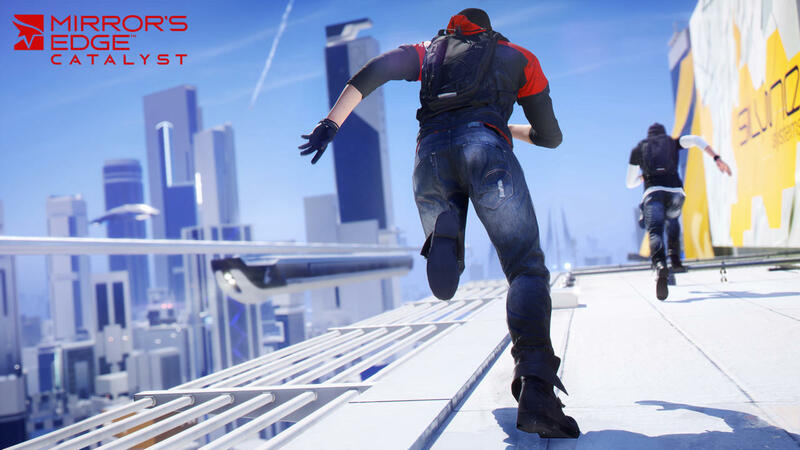 Series purists will be glad to know that the parkour mechanics they know and love are back in full force. Running, jumping, wall runs and climbs, coils and slides; they are all here and intact. Granted, a few additional abilities have been added to the game’s repertoire as well. Most notable is a ‘shift’, which allows you to alter your direction at speed, meaning you won’t have to completely slow down or turn in order to tweak what direction you’re facing or moving. While the minute-to-minute parkour remains largely the same, everything that supports the game’s core mechanics has been completely redesigned. The biggest change comes in the form of the open world. 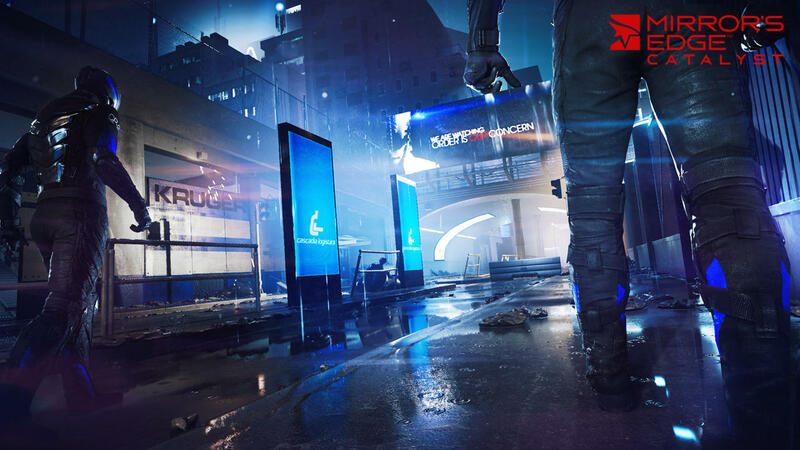 Rather than stringing together the story across predefined stages, Mirror’s Edge Catalyst unfolds across a rather large open world. Travelling to specially designated spots triggers the next story mission, which drives the plot forwards, though you can always elect to spend time running around the city freely, as there are plenty of side quests and distractions to keep you busy. 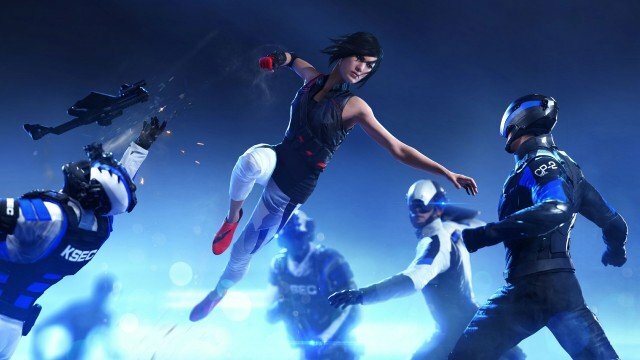 Compared to other open worlds from the past few years, Mirror’s Edge Catalyst doesn’t really stack up well against its competition. 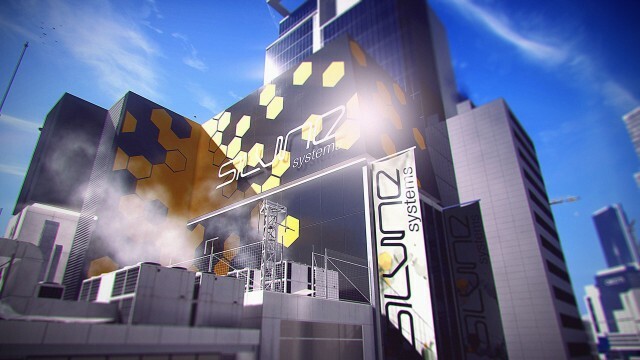 The game takes place across rooftops and buildings, so unlike other titles, you won’t be slumming it on the streets and interacting with interesting characters. Instead, the open world structure exists as a canvas, designed to spread all the game has to offer across one gigantic playing field. 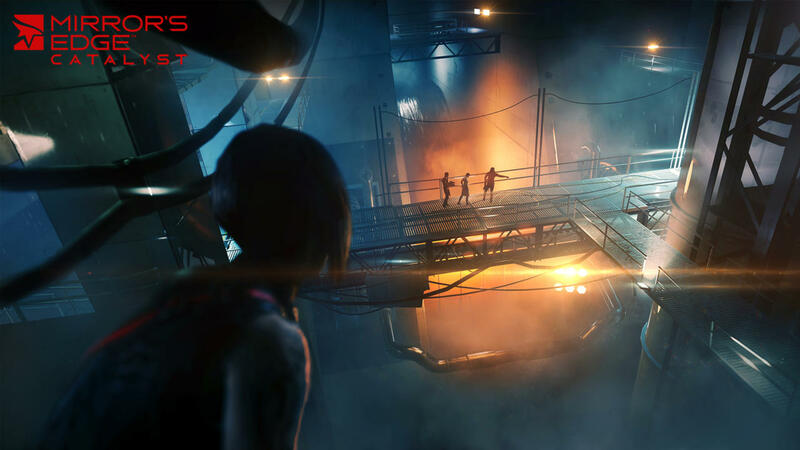 There are snippets of backstory and pieces of information that do build upon the game’s lore and characters, but for the most part you’ll just find yourself zipping across rooftops, chasing down the next mission or collectible. 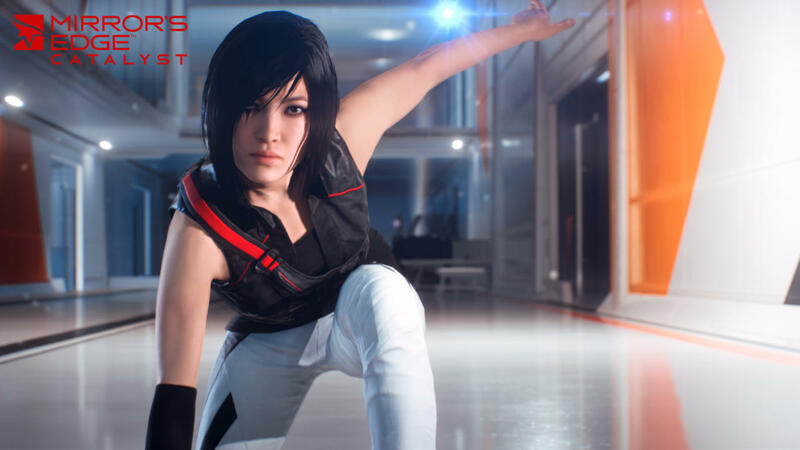 Speaking of which, Mirror’s Edge Catalyst has plenty of collectibles and missions to complete. To be fair, they aren’t the most diverse group though; most of them revolve around free-running to a specified location in a specified amount of time, or without taking damage or slowing down. The best ones involve some sort of environmental puzzles, which usually task you with navigating to a specific area without the aid of runner’s vision (more on that later). 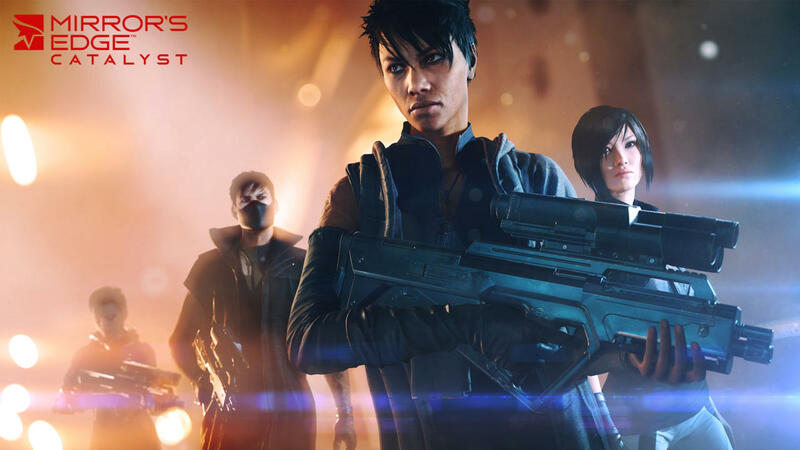 Completing both story and side missions, along with tracking down the game’s many collectibles grants you XP, which ties into a character progression and upgrade system. Upgrades are split into three categories. 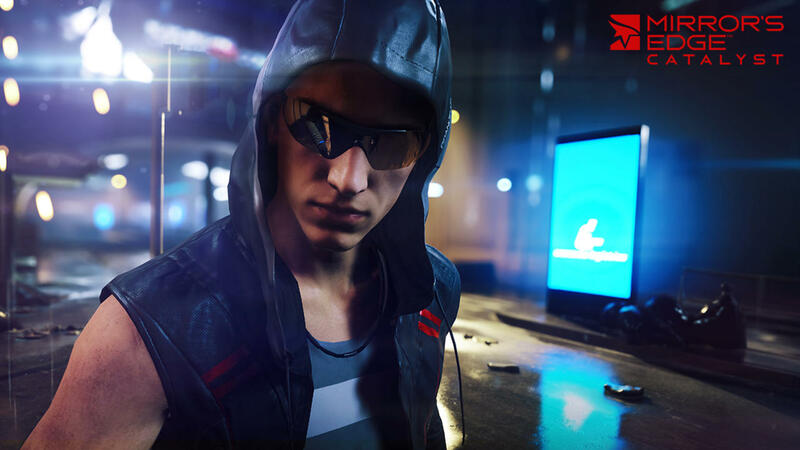 Movement upgrades grant you additional parkour moves and abilities, and while most of them are unlocked from the get go, some moves are locked behind upgrades. Combat upgrades, meanwhile, provide additional attacks and strategies you can make use of when taking down enemies, and gear upgrades upgrade your tools and gadgets. It’s a fairly standard system, though it doesn’t often mesh well with the game’s open world structure. With no real gating system in place, a few occasions arose where I was able to take on a side mission without the necessary tool to complete it. This was most apparent with the game’s time trials (called ‘dashes’ this time around); it was nearly impossible to compete with other players without first unlocking certain skills and abilities. Combat, which was a much criticized part of the first game, doesn’t fare much better this time around. Gunplay isn’t featured here, as the city’s soldiers carry around biometric tagged weapons, preventing you (or anyone else) from picking up a gun and going to town. This is for the better (gunplay was never the series’ strong suit) though combat often slows the game’s pacing to a crawl. If you decide to (or are forced) to take on a group of enemies, you’ll have a mix of light and heavy attacks, which you can use directionally to knock enemies into environmental objects, or each other. Attacks can also be combined with parkour moves to great effect, such as chaining a wall run into a flying kick. These moments can look flashy, but fighting in first person is a somewhat clumsy affair by nature, as it’s difficult to discern your position and placement when surrounded by a group of enemies. After the first few brawls, you’ll probably pick up a few standard moves and combos to rely on. It’s serviceable at best, but considering the game often hints that you can avoid fighting altogether, you’ll often wonder why combat was even included in the first place. 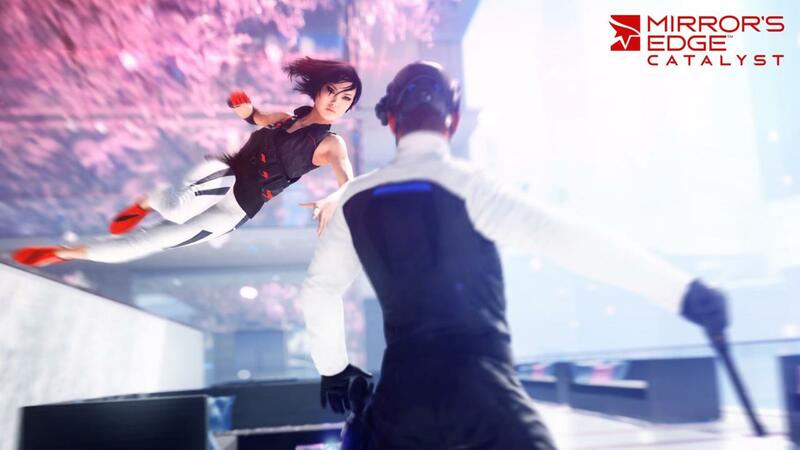 Much like its predecessor, Mirror’s Edge Catalyst has plenty to offer, especially if you can overlook its weak combat. 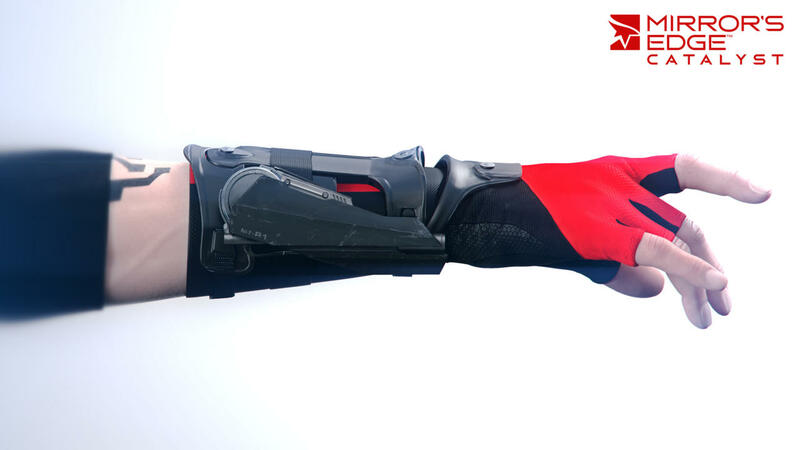 Along with the new movement abilities, there’s a handful of gadgets to take advantage of. Early in the game, you’ll get your hands on a MAG Rope (which is essentially a glorified grappling hook). While its uses in game are limited, you can use it to cross wide gaps, which feels great when you’re chaining together moves and keeping your speed up. You’ll also be able to upgrade it to travel vertically up walls via a built-in motor, and to move or pull objects from a distance. There’s also the Disruptor, an electronic scrambler that allows you to stun enemies and destroy turrets and drones. 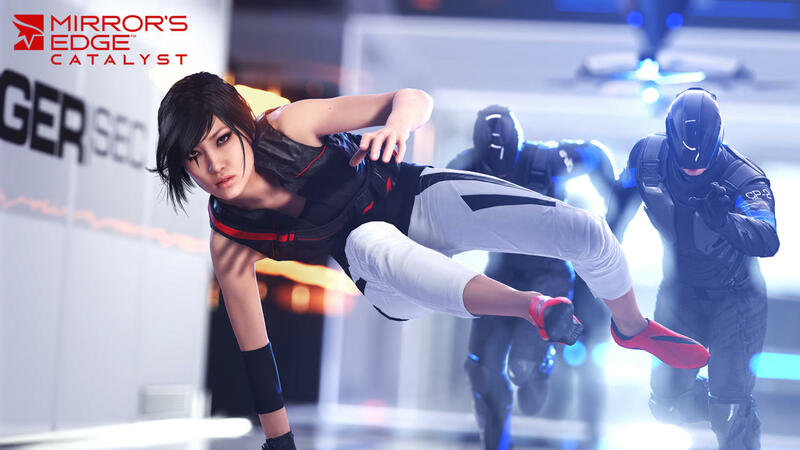 While your mileage will most definitely vary, Mirror’s Edge Catalyst features a rather robust online system. Dashes and other timed missions are all ranked on both global and friend leaderboards, and placing higher on leaderboards ties into an in-game ranking. Gone are developer curated time trials (save for those from the main game); instead, they are replaced with the ability to create your own dashes, which can be completed by anyone else playing the game, with rankings and leaderboard support. There’s also a geocaching system, allowing you to both hunt down and place your own collectibles anywhere in the world, for both friends and random players to hunt down. If you’re the kind that’s not interested in this sort of thing, you can toggle the in-game display for user created content off. The aforementioned Runner Vision also makes a re-appearance, tagging key environmental items by coloring them red, which helps to form potential routes and paths to follow as your free-run. 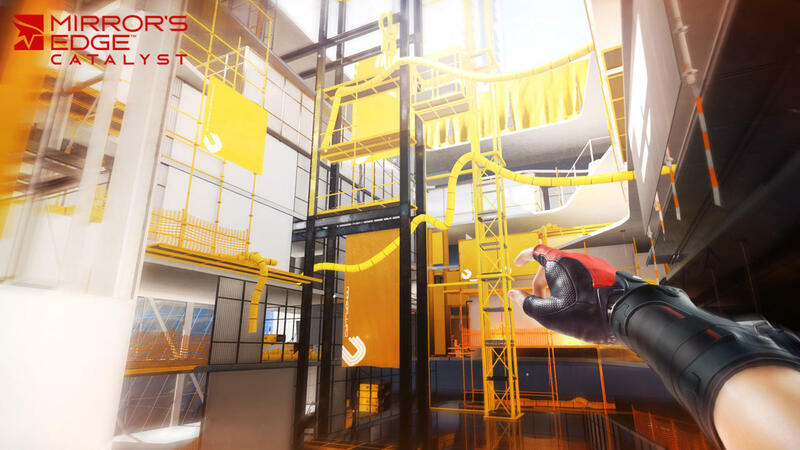 With the move to an open world structure, developer DICE has also added in a GPS mode of sorts, which takes the form of a suspended line, which shows you a path you can take to navigate the world. These paths help prevent you from getting lost, though they don’t always show the shortest, optimal path to take, meaning that skill and strategy are important if you want to shave time off your records. For the purists at heart, you can choose to disable these guides, or you can choose to disable Runner Vision entirely. 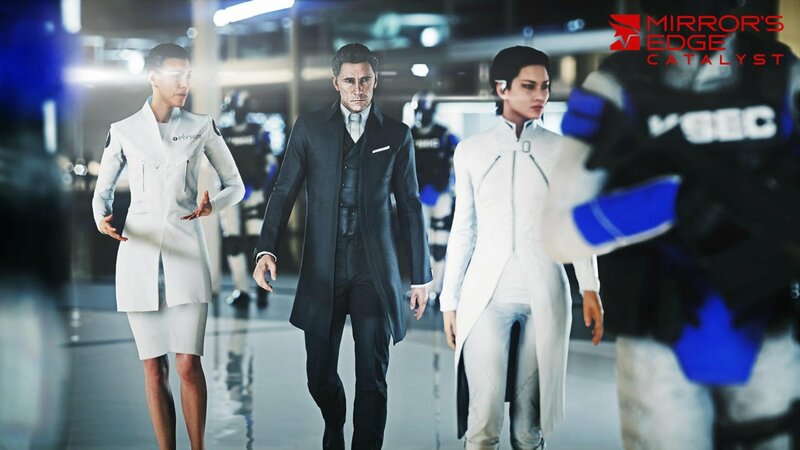 On a technical level, Mirror’s Edge Catalyst is leaps and bounds ahead of its predecessor, though you may not realize it at first glance. First and foremost, the game targets 60 frames per second, and it manages to hit close to this mark for the most part, though there are some dips here and there. Of course, the decision to target a higher framerate comes with some drawbacks. On Xbox One, the game renders at 720p (and 900p on PlayStation 4), and while the anti-aliasing does a pretty good job at covering jaggies and other artifacts, the game takes on a much softer look in return. 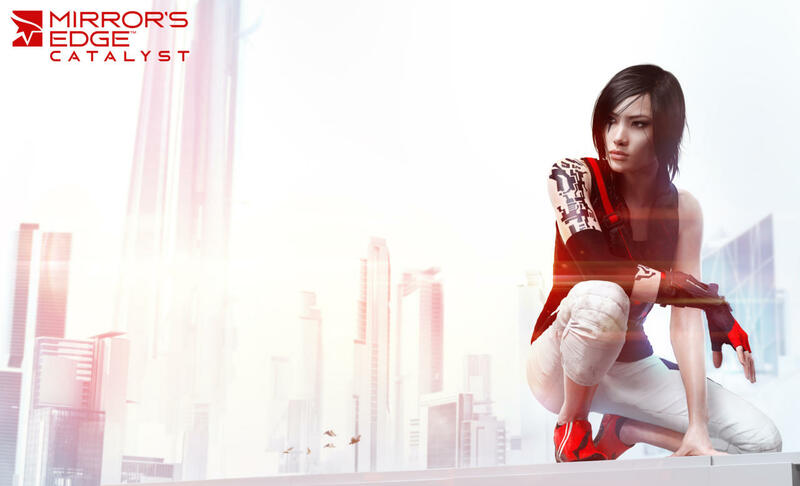 Coupled with a less saturated look than the original game, Mirror’s Edge Catalyst doesn’t stand out as much visually, but there are more effects happening beneath the hook. Indoor environments include some nice screen space reflections, and there’s a great chromatic aberration effect when you take damage from a high fall. Cutscenes are a noticeable step up from the Esurance-esqe visuals from the original game, with pre-rendered 3D cinematics being used. These cutscenes show off just how much DICE has grown when it comes to storytelling, and while they are locked at 30 frames per second, it’s a definite improvement from the previous outing. 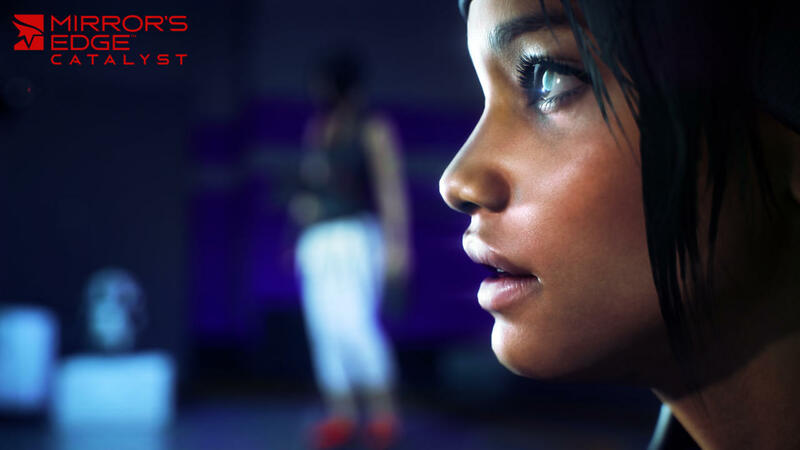 Speaking of storytelling, Mirror’s Edge Catalyst completely ignores the events of the first game, opting to retell the story of protagonist Faith. Having just been released from prison, Faith quickly joins back up with her crew of runners and stumbles across a plot to take down the Conglomerate, a super group of corporations which run Cascadia. The story is pretty run-of-the-mill, and while a few surprises do pop up every now and again, the narrative never does the game’s setting justice. There are plenty of interesting characters and history to tap into, but the game just passes on the opportunity to dive into them. 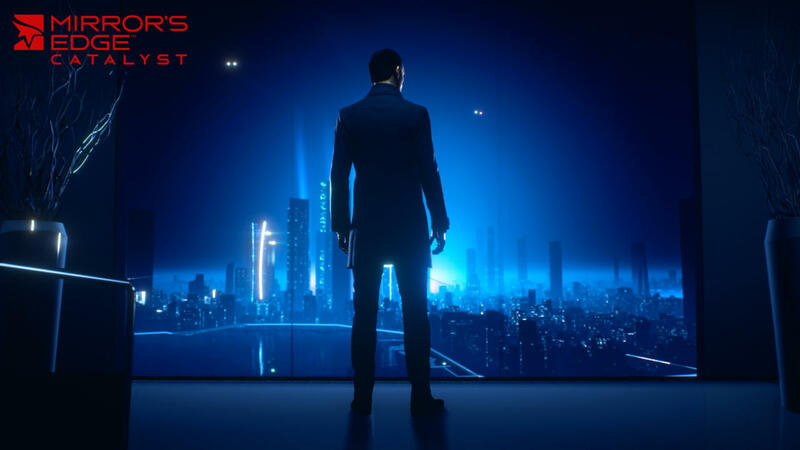 There’s plenty to nitpick about if you want to dig deep enough, but Mirror’s Edge Catalyst truly shines when you forget about the game’s faults and simply play it. When you’re running and jumping from building to building, timing all your moves and never slowing down, the game just clicks, and it’s these moments that stand out the most. 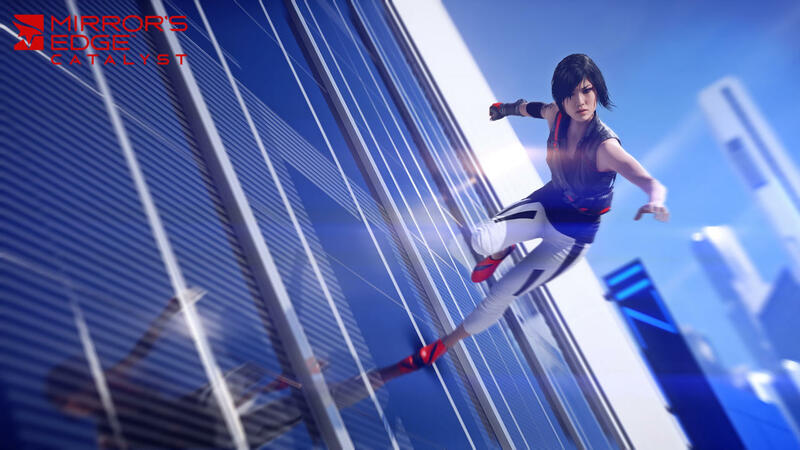 Very few titles provide the same level of exhilaration that Mirror’s Edge Catalyst does, and even when it stumbles here and there, it’s easy to ignore its faults and pick right back up where you left off.